don't get a Henna Tattoo again and again but wear this gorgeous bracelet whenever you want. 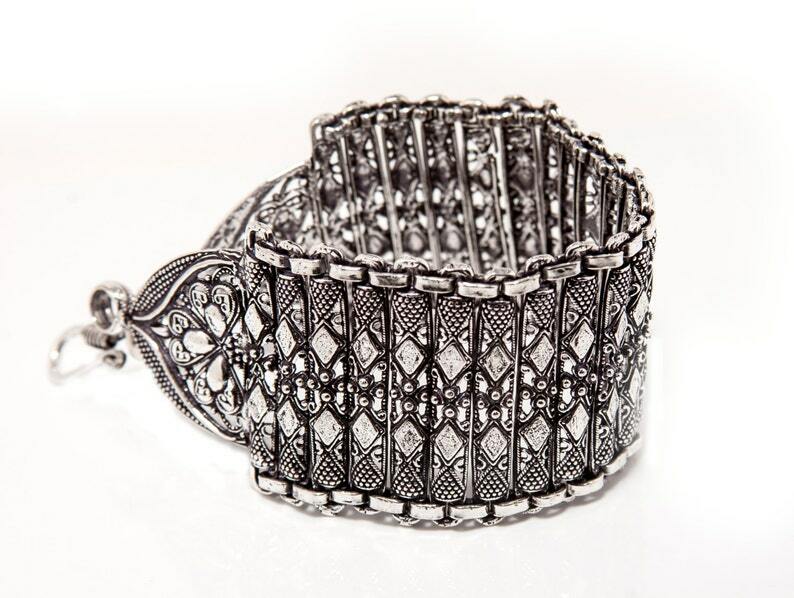 This is a beautiful bracelet made with a belt like weave of Metal with a beautiful traditionally ethnic design.We created this piece to bring the antique back in modern. 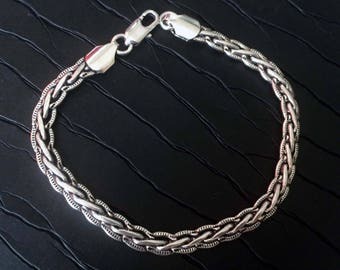 The bracelet is long enough to fit almost all adult wrist sizes.It has a hook closure and is about 1.5 inches thick. It is flexible and sits beautifully on the wrist. All jewelry comes wrapped in a gift bag or gift box.